Another surprise in the inbox the other day. 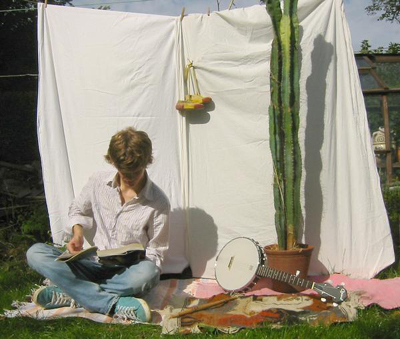 An e-mail from Joe Snape about his bedroom one man music-making project All The Pictures. He sits in a dimly lit suburban home, pumping out clever mini-indie masterpieces. Possibly balancing on folktronica, his songs sit somewhere between electronica, folk and pop. Check out Catherine of Aragon off his debut full length ‘I Have A Brother‘. More on his myspace page. Can anyone hear Sufjan singing Postal Service?